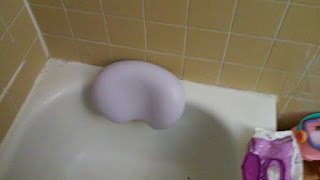 This is an amazing bath time pillow, it’s like going to the spa in your own home. I love that it has a strong hold and there is no way for any water to get inside of the pillow. This pillow is really easy to clean and keep from mold from growing on it.